Finish Line Timing is the race timing service offered by Timberline Events LLC. Timberline Events opened in January 2004, offering long distance team relay races. 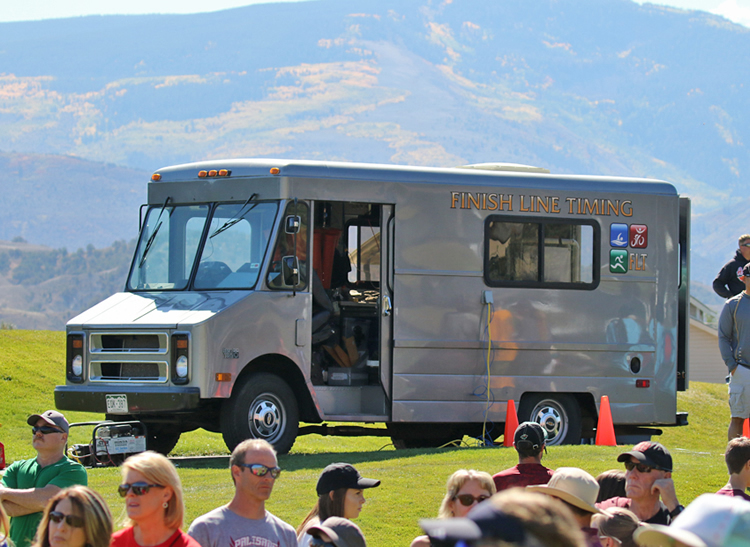 Our relay race series, Roads Less Traveled Relays, includes races in Colorado and Oregon. Timberline Events expanded their business and created Finish Line Timing in 2008 to offer professional race timing services. We offer the state of the art MyLaps BibTag chip timing system, as well as bar-code/tag-pull timing (more affordable for smaller races). We are equipped to time road and trail races (1-mile to ultra-marathons), triathlons, mud runs, bicycle races, open water swims, and High School and Collegiate cross country meets. We are based in the Denver Colorado area, but we are happy to travel to your location to time your race. We will bring our same dedication and expertise to time your race as we do to our own events. Finish Line Timing's timing and scoring services include their live results website FLTResults.com, results kiosks, and a video of the finish line so participants can see their finish. Chip Timing with the MyLaps disposable BibTag system, used by the Boston, Chicago, and Houston Marathons.